At Vivaldi Construction we constructed the first of many beautiful conservatories in Bedford not long after we started in business just after the turn of the millenium in March 2000. Since then we have built hundreds of local Bedford conservatories, all bespoke designed to the clients specific requirements. 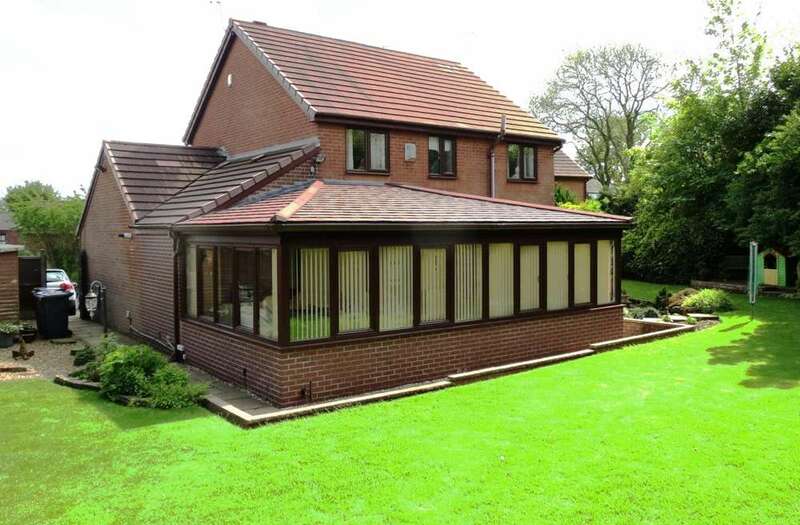 We have been at the forefront of the development of high performance glazing, new conservatory designs and the introduction of coloured framework, so if you want an all year round usable room we are confident we offer the best quality products, best value for money and un-rivalled personal service. We are Which? Trusted Traders, Ultra Installers, Consumer Protection Association members and FENSA registered. Our Bedford conservatories represent the ultimate evolution of the conservatory, into a room that is both structurally sound and thermally efficient enough to be enjoyed all year as genuine extra living space. The idea of a conservatory certainly has come a long way. 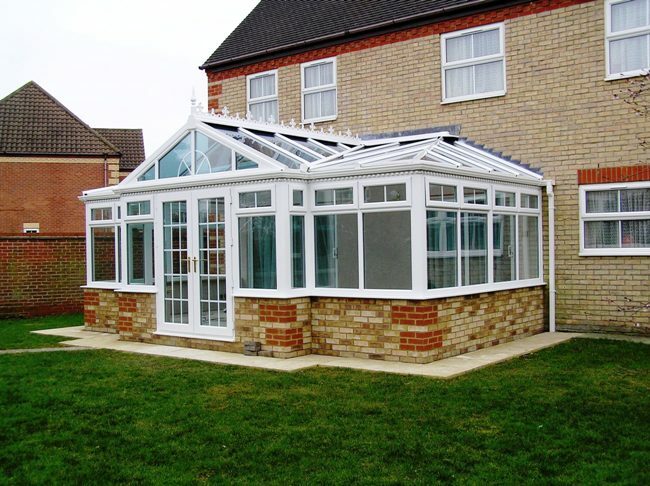 We spend a great deal of time confirming the structural integrity of our projects, and our extensive experience tells us when building conservatories in Bedford and the surrounding area additional thought must be given to the large quantities of clay in the ground. Bedford sits on a large bed of clay which, compared to other soil types, is far less permeable and is therefore more liable to expansion and contraction within the conservatory base/ foundation. In order to counter act the negative effects of clay, subject to the specific ground conditions additional depth foundations or a proprietary clay shield may be specified to protect the conservatory foundations. 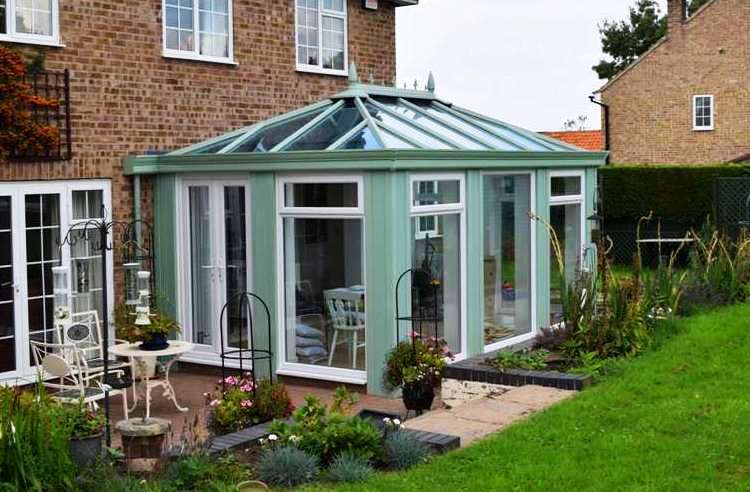 Throughout our many years of trading we have built numerous conservatories in Bedford of different styles, colours and with different materials. We work exhaustively through the design and planning stage of a conservatory project with the client to ensure the perfect combination of materials and style is chosen. The client specifies as much or as little brickwork as they want, depending on how solid a look they are going for, then its on to the side frames. 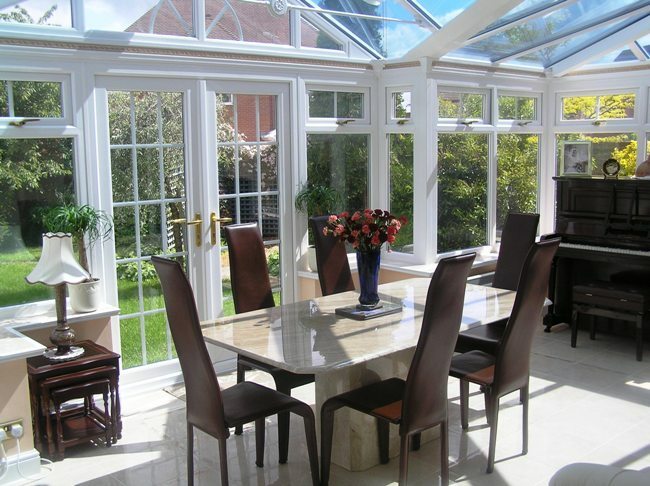 We have built conservatories in Beford using uPVC, aluminium or hardwood. We can specify a full range of standard colour options or alternatively our dedicated paint shop can bespoke paint the conservatory to literally any colour. 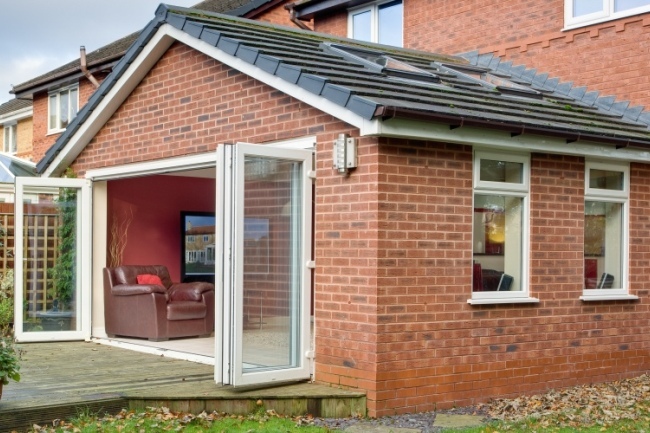 We have also launched a product that, whilst technically a conservatory, looks and feels like an orangery, with its plastered ceiling pelmet, making it ideal for the client looking for cross between an extension and a conservatory. We have examples of this, what we are calling a Bedford Orangery Style Conservatory we can send images of, recently constructed on one of the newbuild sites to the West of Bedford. This conservatory built in Bedford for Dr Jacob incorporates a T Shape design as well as a Gable frame to the front elevation. The conservatory has provided the client with a fabulous, spacious dining room, which features our latest technology glass to ensure the room is warm enough to enjoy through the coldest winter and also rejects 78% of solar heat gain to prevent excessive summer heat build up. You can see from the images just what a fabulous investment this has made for our client. To make sure your Bedford conservatory is absolutely perfect for you we will take care of the entire project. This starts with dealing with initial planning permission enquiries with Bedford Borough Council, through construction of basework and frames, then on to plastering, electrics and flooring. You get the convenience of a single dedicated project manager and the peace of mind that comes with an insurance backed guarantee that covers the entire conservatory construction. Our processes have been independently inspected and approved by Which? and we have been awarded Trusted Trader status through their UltraInstaller scheme. We take great care to ensure that all of our Bedford client's conservatories suit their existing homes and give them the perfect extra room. Prior to making a decision regarding which company you choose to construct your conservatory read this genuine, unsolicited review from Mrs C. Smith. We have hundreds of images of local projects we have constructed, to help you see what might suit your home best, feel free to contact us to request some sample images. “I love my new conservatory, it is the best thing that I have ever bought. I was really pleased with the complete service from Vivaldi and I wouldn't hesitate in recommending them to anyone considering a similar purchase." Before beginning your project there are various things to consider; these can include basics such as design, materials and size but could also include investigating whether there are any restrictions on your property, such as conservation areas, listed building status or drainage/ inspection chamber issues. None of these restrictions should put anybody off because we have built many conservatories on traditional properties in conservation areas in Bedford and its historic surrounding villages, although its worth pointing out that even some of the many Bedford newbuild developments have restricted covenants that affect permitted development rights, which is why our cautious approach of checking and confirming the planning status on every project has served our clients well over the years. This attention to detail is followed through to the installation process, where in addition to the kind of public liability insurance you would expect from a professional company we do our small part to help the environment with a sustainability policy developed by Environmental Scientists from the University of Nottingham that meets UK government environmental guidelines and is registered under the control of pollution act of 1989. Since our establishment in March 2000, we at Vivaldi have always believed that the design and planning stage of a bespoke conservatory project in Bedford or anywhere else is a job for an experienced professional, so we employ no salespeople. We like to give our potential cliants who are considering a conservatory project all the facts, and let them make their mind up themselves. We can provide a rough project cost estimate by email, but much prefer to visit to discuss the project design options and assess the site accurately, we then email an accurate quotation and leave the client to consider it in peace. Please contact us today to discuss your potential Bedford conservatory project, either by phone, email, or using the contact form.